As a reader, the story-within-a-story format has always appealed to me. As a writer, I know this format is difficult to pull off. Because I’m working on one of my own, I pulled three from my bookshelves to take a closer look. How did their authors handle voice, pacing, tension building, POV, etc.? How are they the same? How are they different? Are they stories I want to read again and again, and if so, why? Title page synopsis: Little Red Chicken wants Papa to read her a bedtime story, but interrupts him almost as soon as he begins each tale. The cover of this book alerts even the youngest reader (listener) to what’s coming. Ordinarily, we’d think that might spoil the plot. Instead, it heightens anticipation. This roller coaster of a story has kids on pins and needles, tension building, as they wait for what they know is coming. Each time Little Red jumps in, that tension is released in giggles. Kids know interrupting an adult isn’t supposed to be funny. So there’s the added appeal of getting to laugh at something that feels a little naughty – safely naughty. How does David Ezra Stein manage to make every page fresh when the same scenario repeats itself again and again? 1) Little Red’s interruptions feel absolutely childlike, 2) what she says is honestly funny, and 3) Papa’s understated reactions are exactly right. His mellow, “Try not to get so involved.” is perfection. Title page synopsis: Mac, the author, fires Adam, the illustrator, over their artistic differences about Chloe, the main character of their book, until Mac realizes both of their talents are needed and they must work together or their story about Chloe will never be finished. This story is basically an illustrated spat between an author and illustrator. Its point? That each adds something unique to a book collaboration. In this case, that couldn’t be more true. The text and illustrations play off one another seamlessly. I read in an interview once that Mac B did NOT give Adam illustration suggestions in the submitted manuscript. Writers, try typing this one out for yourself and see how tough that must’ve been! I really like that the story-within-the-story’s main character, Chloe, is largely ignored until about midway through the book. When she sees that author Mac has given up, she pipes up with a pep talk (of sorts) and urges him to continue. Then she tricks the lion into coughing up illustrator Adam. So Chloe, this nearly-forgotten cardboard character, takes control and shoves her own story train back onto its tracks. Clever. Once the point has been made, off-the-wall goofiness comes out of nowhere as the lion coughs up enough spare change for them all to ride a merry-go-round. Odd. And, as Kevan would say, Odd is good. Title page synopsis: Mouse has one idea about what a book should be and how to tell a story. Frog has another. What happens when these two very different friends try to create a book together? 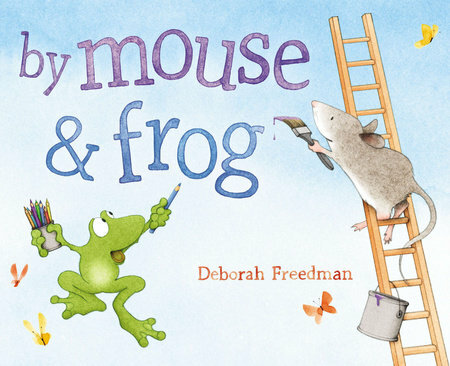 I have a soft spot for Freedman’s illustrations, and this little (pretty much life sized, come to think of it) mousie is about the cutest thing ever. Yeah, yeah, the frog’s cute, too. But there’s something about the mouse…. Anyway, Mouse begins to write a story. Frog keeps adding his two cents. When Frog gets (really) carried away and Mouse flips his lid, Frog backs off. When Mouse sees how bummed Frog is – perfectly captured in his deflated body language – he tosses out a story prompt and, in time, they fully collaborate on a story that has just enough of each of them to make it better than anything either could have thought up alone. So, in an entirely different way, this is another story that illustrates the joys – and trials – of collaboration. Why would kids like this? Because every one of them has likely thought up something fun to do that somebody else – a sibling, a friend, a classmate – has decided to help with and ended up taking over, adding his/her own ideas until it’s no longer what the original kid had in mind at all. That’s likely to lead to discord. At least at first. Every one of us, then, can relate to Mouse and Frog. Clever. Personal note: Two fabulous occurrences last month, one a surprise and one not. -My picture book, I Am Cow, Hear Me Moo!, won the SCBWI Crystal Kite-Midwest Region. Here’s an interview, if you’re so inclined. -Last Friday, I became a grandma for the first time when our daughter and her husband blessed our family with little Bria Lauren. Bliss! Thanks, Lori. I’m loving it! These books sound great, I’m going to have to check them out. Congratulations on your book and on becoming a grandma! Thanks, Janet. Yes, definitely check out these books. 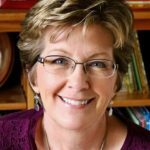 Loved this post – And Congratulations on the award and a grandbaby who will soon be loving your books, too!!! You will love being Grandma! Congratulations on that new title, and your book award, too! I have all these books on reserve at the library and will be studying them. Thanks! Thanks, Cindyb. I think you’ll love the books. Congrats on so many levels! I need to find these books for my reading list. I’m sure there are others, too, Anita. Intriguing structure, I think. As one who has co-written many manuscripts, I am especially intrigued by the concept of By Mouse and Frog! Congratulations on your good newses! It’s a beauty! And thanks! Wonderful post and even MORE wonderful news! Congrats on the Crystal Kite award, and hooray, hooray for baby’s arrival! Hope everyone’s doing well over there. Thanks, Linda. They’re doing better than I had even hoped. 🙂 She’s very calm for a brand new mother. 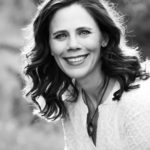 Love these books as well – and one of my favorites like it is “Don’t Turn the Page!” by Rachel Burk – give it a look. And congrats, grandma! (Plus, I voted for you in Crystal Kite – so glad to know my vote counted LOL). Fun stuff! I appreciate the vote, Joanne! I’ll look for Don’t Turn the Page! Like a play within a play! There’s also Dog Loves Drawing by Louise Yates. Love Interrupting Chicken. 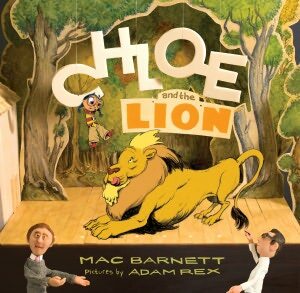 Can’t wait to check out Chloe and the Lion as well as By Mouse & Frog. Thanks for the post! Great post. I’m looking forward to reading these books. I also read your interview about I am Cow . . . . Thanks for your good answers and advice. Last, but not least–CONGRATULATIONS! Being a grandma is the greatest. My grandchildren are either in college or have graduated and are now working. They are still precious to me. They make my day whenever I see them or hear from them. I have always learned from them. I know that will be the case, Dorothy (learning from grandchildren). I’m looking forward to it! Congratulations on the Grandbaby! And the award. Both super cool. Your blog on ‘story within a story’ intrigues me. I was looking over one of my stories this morning that had a story within a story, but not one that continually interrupted the main story. This weekend I read Chloe and was irritated by the interruptions. Perhaps I didn’t like the “argument” between Mac and Adam. I’m remembering at least one story where the child interrupted the parent with questions and I was okay with that (the title escapes me at the moment). Perhaps kids are more used to interruptions being bombarded by technology options, switching channels incessantly, commercials, etc, etc. It may keep them awake! I will read the other two books to see what I can learn about this technique. Thanks for expanding my thinking! Thank you, Jill, for sharing these great titles (will check them out, for sure) as well as your great news! You’re a winner on all fronts! Thanks, Anne. Hope you enjoy them. Dual congrats, Jill! Really enjoyed this post. Thanks, Q. Loving the grammy role! After the Whispering Woods Picture Book Workshop I took with you last year, I headed to my library to check out your books. I Am Cow, Hear Me Moo, became a fast favorite. Congratulations on your Chrystal Kite Award! I love the picture book texts you reviewed here, and I’m glad for a reason to escape to the library to check them out. Having raised both mice and tree frogs, I have a feeling, By Mouse & Frog, will capture my heart. Also, congratulations on your granddaughter, Bria! Aw, thanks, Leslie! Good to hear from you again. Doesn’t seem like almost a YEAR since we were out in the woods! 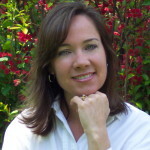 Love your great analysis of THREE awesome books! And congrats on all your wonderful news! Congratulations on both fronts, Jill!! Grandbabies are an instant antidepressant and is there anything like the smell of a baby?! I haven’t held any of these…gotta put them on my library’s order list. Thanks for the great analyses, Jill. You’re very welcome, Damon. One of my favorite things to do. So happy to hear your double good news, Jill! Thanks so much, Patty! The month of May was good to us. What an informative post, Jill! I love this format, too. 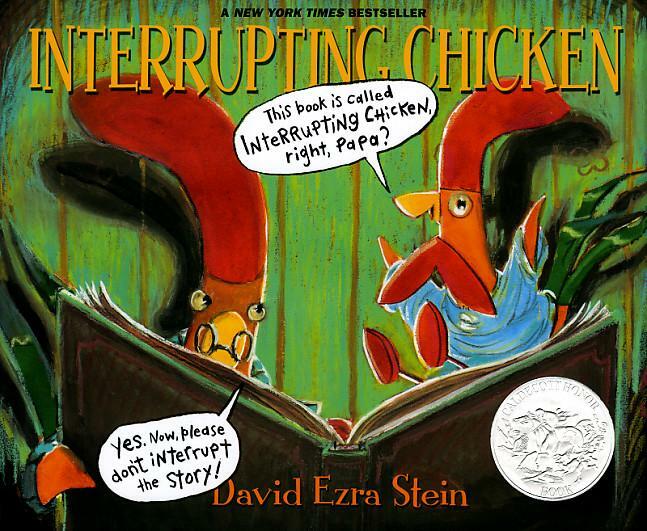 In fact, Interrupting Chicken is the book that got me thinking about a fairy tale mashup tale of my own…thus my second book, A Cooked Up Fairy Tale. Thanks, Penny. Isn’t is strange how one book can send us off in a new writing direction? And when it leads to a sale, wow! I totally want to write a story within a story one day!